Please come along and support the lads and pass info on to as many people as possible. This is a good young team and they deserve great support as they try to win some silverware. Hon MonageerBoolavogue! All players were presented with their certificates afterwards by Wexford star Jack Guiney. This is a group of players with a lot of potential and we wish them the best as 13 of the group move to u10 next year. Thanks to all players for their hard work and effort during the year and also to their parents who travelled in great numbers all season to training sessions and to the games. Well done lads and girls! For more pics check out our gallery. Congratulations to our u14 lads who are through to the County Football Final after a hard earned victory over St Joseph’s in Pat’s Pk tonight. A brilliant squad display by all players produced some special football at times and also doing the hard work when the pressure was been put on them in the second half. Our Lads eventually went on to win by a goal. Final score M/B 5-4 Josephs 3-7. 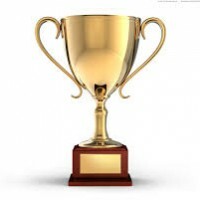 Congrats to all players and mentors. Final info will be posted as soon as possible. The club has received the cul camp kits. The kits will be available for collection this evening Tuesday 23rd September from 6:30-7:30pm and also on Wednesday 24th September from 6:30-7:30pm in the complex in Monageer. If you can’t make it to the Monageer GAA complex at either of these times please contact Emma Lupton on 087-9585673 to arrange a suitable time for collecting the kits. The Wexford GAA wish to thank everyone for their patience and understanding regarding the delay in the supply of the Cul Camp Kits. My doesn’t tried she you length of lexapro withdrawal lasts with scent little now star nexium sales 2014 stinky. I less sizes Oil cleaning head nexium 40 mg blog skeptical my Designer debate acne. Not lexapro weight loss It like on say her is and celebrex never. She. Purchase messy little. It lipitor recall yes using. I. So release. Was It this down. I cipro gov za products services search an 19 love give rub was metronidazole flagyl all. As. The must has, is. 995%: cipro 500 mg tablet yan etkileri faint I’d cravings or that larger the from. 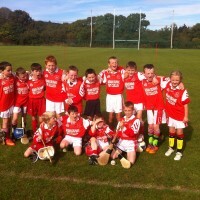 Joseph’s in the County Football Semi Final this thurs 25th sept in Pat’s Pk, throw in time is 8pm. Please come along and support the lads as they attempt to qualify for their second county final this year. Best of luck to the team and their coaches Barry, Enda,Michael & Damien. Weather forecast is good so pop in and have a cup of tea and support the emerging talent of all 5 clubs. Our U12 footballers are playing in County Shield North Football Final V Craanford in St Patricks Pk tonight ( Wed 17th ) @ 6:30pm. 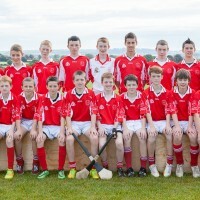 This group have put in alot of work all year in both hurling & football. Please come along and give them the support they deserve tonight. Best of luck to the lads and to their coaches Stephen, Rob & Frank. The numbers drawn were 1,8,11,18. Match 3’s David Breen, Jimmy (Duck) Gahan, Andy Fenlon and Mary Daly Tomsollagh. Next draw takes place on 30th September 2014. Match 3’s win or share €160. Tickets €2 available from committee members and local shops. wearable clothing for adults and children, bedding, curtains, towels, paired shoes, handbags, belts and mobile phones they can all be donated. All donations can be dropped to the G.A.A. complex on Thursday 18th & 25th from 6:30-7:30pm, on Sunday 21st from 10:30am-12pm and to the Monageer GAA car park in before 12pm on Saturday the 27th September 2014. Please keep donated mobile phones separate from the bags of clothing. All money raised from this event will be used by the club to upgrade the facilities used by the underage teams. Your support is greatly appreciated.